Shanghai Oripharm Co.,Ltd. 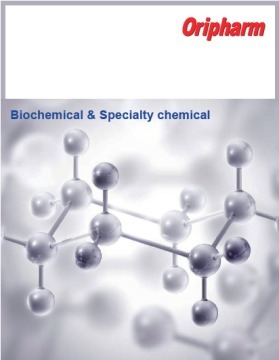 Is one professional biochemical and specialty chemical global Integrated supplier. Since establishment in 2006, after continuous efforts ,we gradually grow into one main supplier in the area of Nucleotides, Key pharmaceutical intermediates (KSM),Specialty Chemicals in China. Due to excellent quality and reliable service, our quality products have won the praise of worldwide customers, we establish a long-term and stable partnership with leading pharmaceutical and chemical enterprises in the world. Other content from Shanghai Oripharm Co.,Ltd. Send inquiry to Shanghai Oripharm Co.,Ltd. Your message will be sent directly to Shanghai Oripharm Co.,Ltd. and will be answered at their discretion.